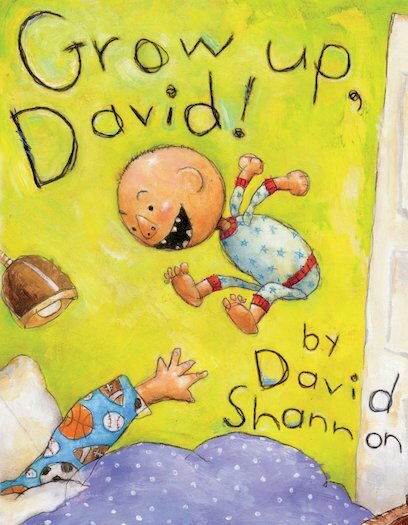 Use Rewards for Grow Up, David! Uh-oh! Tiny tearaway David is back. He’s a bit bigger. But will his behaviour be better? This cheeky ankle-biter already captured our hearts in No, David! But while his mum always tells him ‘no’, his big brother says ‘grow up’! David eats his brother’s Halloween candy (so annoying), is too little to play ball, and follows him everywhere – even up to his treehouse. What else? Sticking pencils up his nose is NOT funny. Nor is tying people’s shoelaces together. What do you think? Should David grow up? Or do you love him just like he is? A hilarious sequel to classic favourite No, David! AD140L Lexiles are the global standard in reading assessment. They are unique as they are able to measure a child and a book on the same scale – ensuring the right book gets to the right child at the right time.